No, Daylight Saving Time was not created to help farmers (actually, they hate it) and no, it doesn’t save energy (running the air conditioner longer in the evenings costs more than we save by turning on fewer lights in the morning). And why are we on “Daylight Standard Time” just four months out of the year? Reading about these myths will make you an *informed* sleep-deprived Monday morning grump. 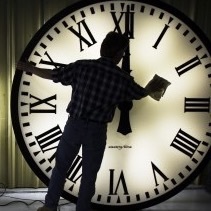 Daylight saving time strikes again Sunday at 2 a.m., at least for every state outside Hawaii and Arizona. Though DST has been part of life in the United States since World War I, its origin and effects remain misunderstood, even by some of the lawmakers responsible for it. Here are some common myths. —The Washington Post. 7 Mar 2015 in Business, Culture, Current_Events, Government, Health, Media, Psychology, Weirdness. Kayley Dardano liked this on Facebook. Darn right farmers hate DST. David von Schlichten liked this on Facebook.